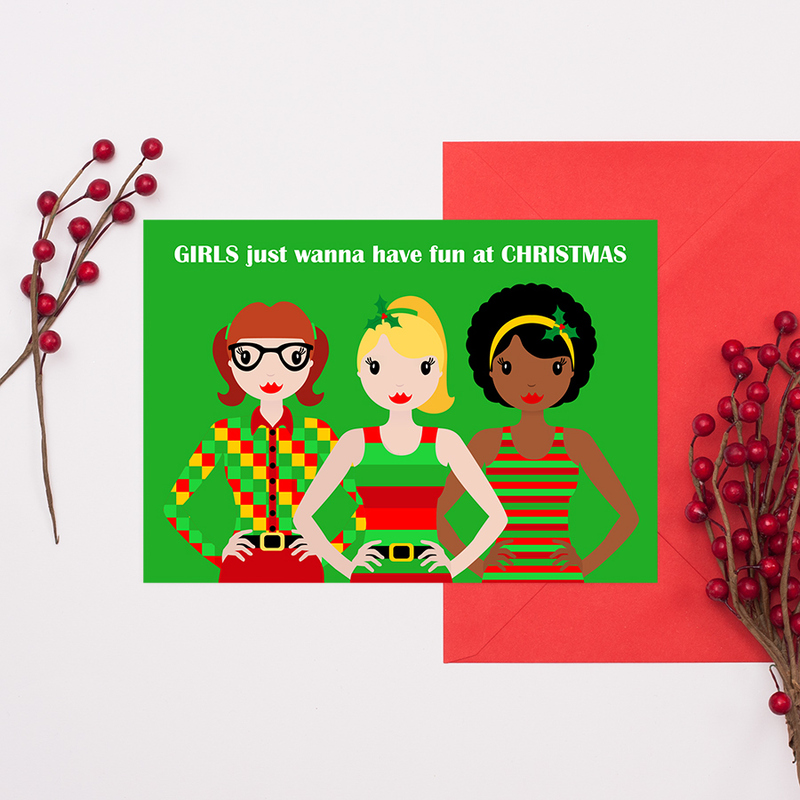 These ‘Girls just wanna have fun’ Christmas cards are a really quirky set of Christmas cards, great for girls of any age. The pack includes four A6 cards, all with the same design and are blank inside for your own special messages. This design is also available as a single A6 card and a single A5 card (which can also be personalised). If you would like the four pack to include some of the different phrases (as listed with the single card) please just contact me. Be the first to review “Girl Just Wanna Have Fun Christmas Cards – Pack Of 4” Click here to cancel reply.